Montague Dawson was born in Chiswick in 1985, the son of an engineer-inventor who also happened to be an enthusiastic and expert Thames yatchsman. Dawson's grandfather Henry had been a successful landscape painter and having skipped a generation, the grandfather's artistic abilities were inherited by the grandson in full measure. Fascinated by ships and the sea from an early age, young Montague's interest was deepened when the family moved to a house bordering the Southampton Water. By the age of eight, Dawson was already painting seriously and by fifteen he had gained employment in a commercial art studio in Bedford Row, London, where he illustrated posters. At the beginning of the Great War, Dawson became a naval officer and spent several years serving in armed trawlers and minesweepers, all the time continuing to draw when his duties allowed. During his shore leave, Dawson would visit Charles Napier Hemy, an established marine painter living in Falmouth who was to have a profound influence upon the young artist. It is most likely due to the influence of Hemy that Dawson became a professional artist at the end of the war. 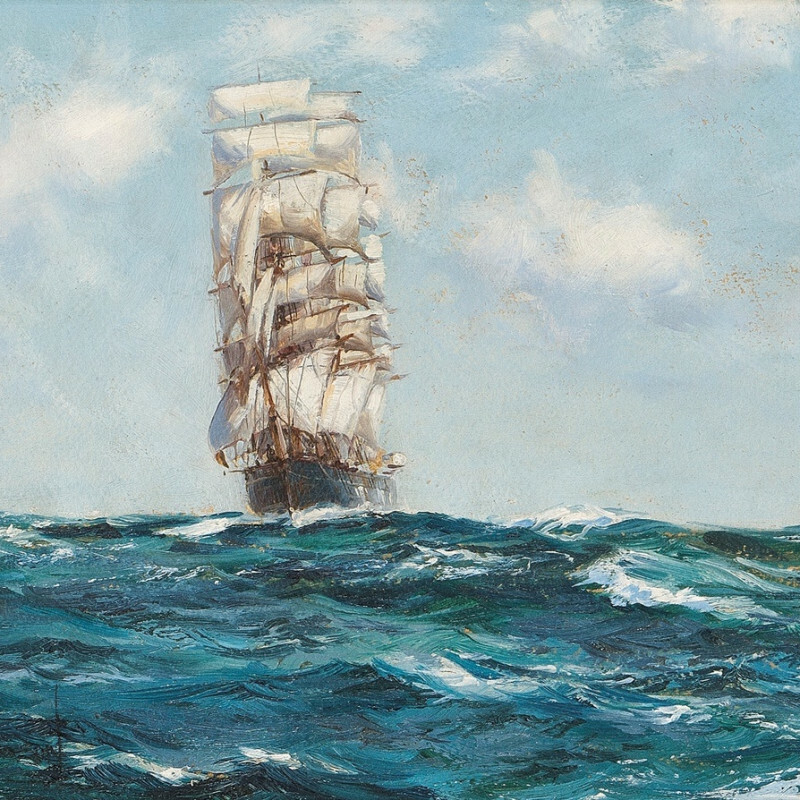 Dawson's ability to master both oil and watercolour is not only representative in the high prices he consistently fetches but also his reputation as the best marine artist of the 20th Century.